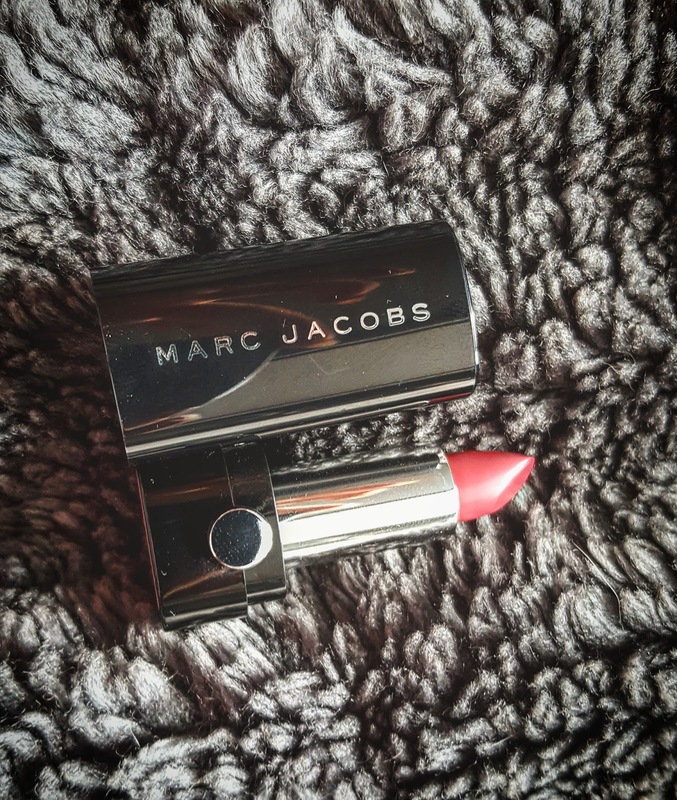 Today I'm gonna talk about the Marc Jacobs Le Marc Lip Crème lipstick in Kiss Kiss Bang Bang. As you can see this is a sample lipstick. This and an eyeliner were the birthday gifts from Sephora. I think it is really nice from them that the do that to al there members! But on to this beauty full lipstick! I really love the packaging. It looks very luxurious and sleek! At the bottom of the packaging you find the color of the lipstick and the label has the same color as the lipstick itself. OW MY GOD this lipstick is so soft! It feels so nice even on my arm. It is very pigmented and has a little shine. It glides on my arm. OW GOD!!!! I think I havened felt a lipstick so soft as this one! 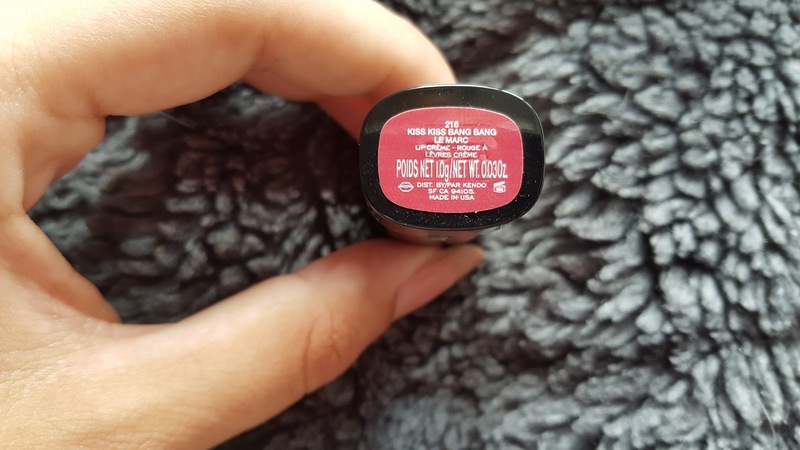 I love the color, the texture, the feeling on the lips and it is really good pigmented! It glides on and it is really easy to apply. It does not stick on dryer areas on your lips. And it does not settle in the lines on my lips! I think I have a new favored lipstick! And have to buy a new one when this one runs out. 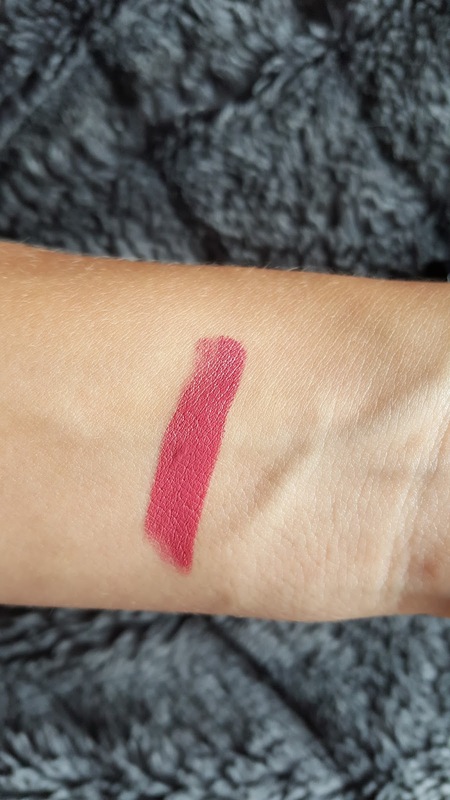 And then I think I would try more colors!But on thing this lipstick is on the pricey side.. You can buy it from Sephora or Marc Jacobs Beauty for 30 dollars, 28,52 euro or 24,17 pounds. 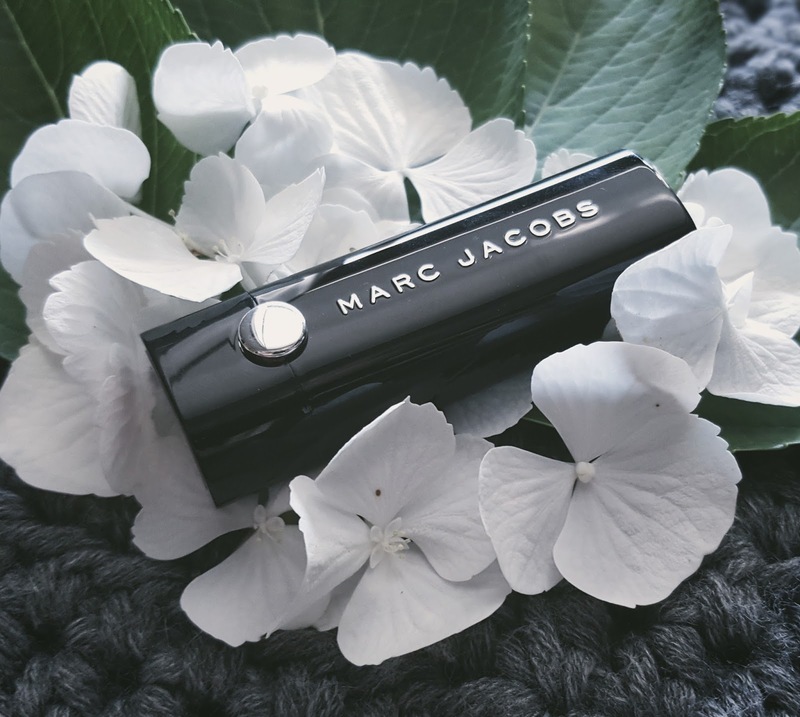 So if you like lipsticks and don't mind spending some more money I think you would love this luxurious lipstick a lot! 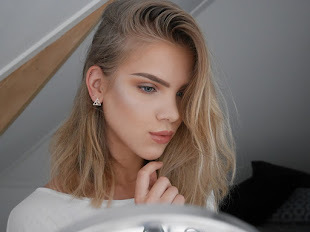 I have the full lipstick new !